Jim couldn’t find any photos of his first frame, so here’s a recent frankencross build. My First Bike explores the life and work of professional frame builders by going back to the start and looking at the first bike they ever built. 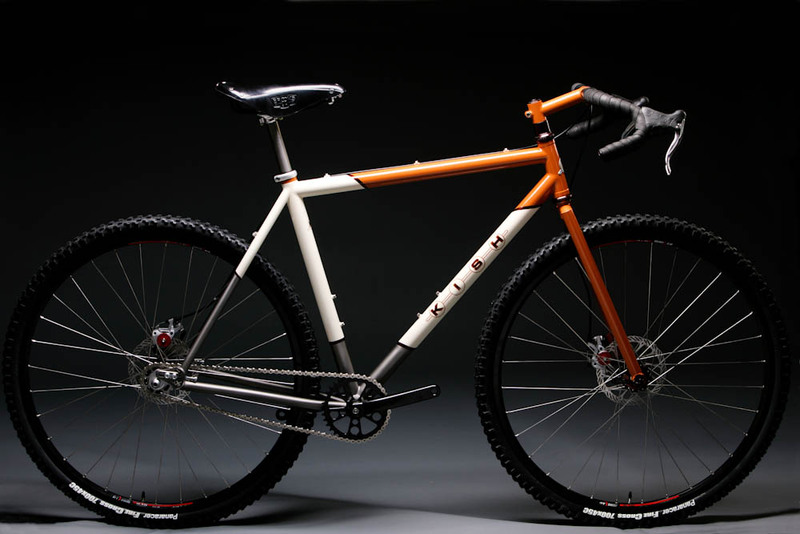 Today’s My First Bike features Jim Kish of Kish Fabrication. I moved from Vermont to Talent, Oregon in 1991 in order to be close to United Bicycle Institute. I was looking for an alternative to my current career being a tour leader and mechanic and I had heard that UBI had recently started teaching frame building in addition to mechanics. I was sold. I signed up for every class I could afford and one of those was a brazed and lugged steel frame class. I chose to rip off a bike design I loved at the time, from the Ibis Mt Trials, which was a great trail bike with a 24″ rear wheel and 26″ front. It was not the most lug-friendly design, lots of weird angles, but I managed to make it happen with the help and patience of Ron Sutphin and the rest of the UBI staff. I couldn’t tell you what tubing was used–that was a long time ago–I’d guess True Temper AVR given the vintage. I rode the trails around Ashland, OR nearly every day then and that bike served me well for a couple years until I replaced it with a titanium version I built.